Pippin Toy Organiser | Great Little Trading Co. Here's a truly versatile and clever piece of storage; the different sections help keep everything sorted and in order, wherever you use it. It's a great way to encourage children to tidy up too; they'll love sorting toys into tidy groups, whether by colour, theme or size, and they'll know where everything is when they need it! 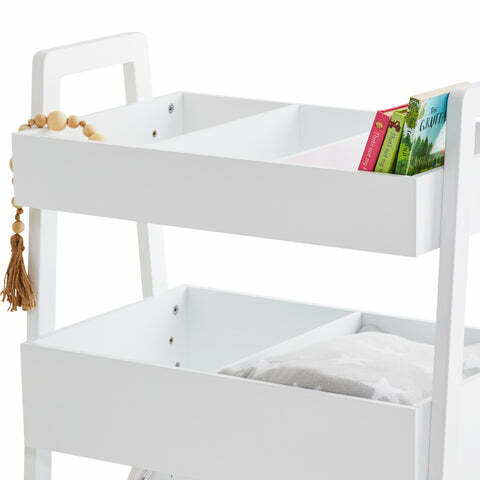 Like all our children's furniture this piece has been thoroughly tested for safe use by children; it's rock solid and features six easy to reach, open compartments. 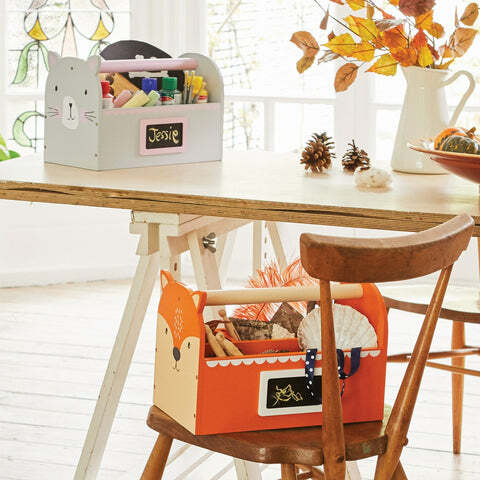 If you're feeling overrun by pens and paints have a look at our clutter-clearing Carry Caddy; it's the best way to store arts and crafts paraphernalia or stationery, and it comes in lots of gorgeous designs.